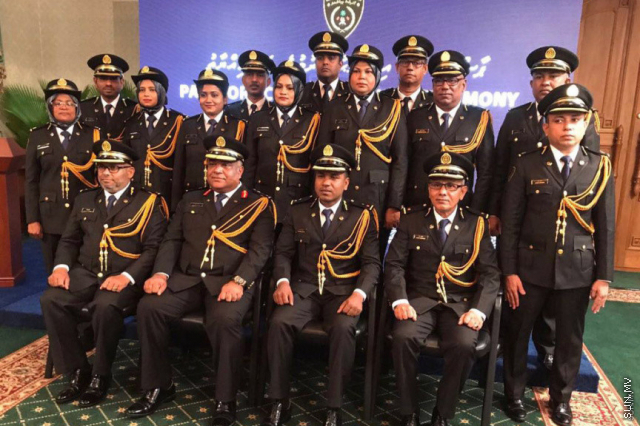 Maldives Immigration has said that the Immigration Officers of the Maldives would remain strong in carrying out their constitutional duties regardless of the threats by some people. Immigration said that some media outlets are reporting a false claim that an Immigration Officer attempted to stop a passenger from departing at the boarding gate. Those reports say that the police tried to take the RaajjeTV journalist, Hussain Hassan after his boarding card was cut as well. But the police have denied it. A statement from the Immigration today said that despite the criticisms and threats on social media and some media outlets, Immigration Officers would not hesitate in fulfilling their duties. Some media outlets have reported that police tried to question and arrested a Maldivian journalist leaving for Sri Lanka, at the airport. But the police, too have said that there is no truth to those allegations. Immigration controller, Mohamed Anwar told Sun Media that if a passenger had to be stopped at the airport, they would do so, without hesitation and within the authorities granted by the law. Maldives Immigration raised concerns about some people trying to break the public's trust with the institute.